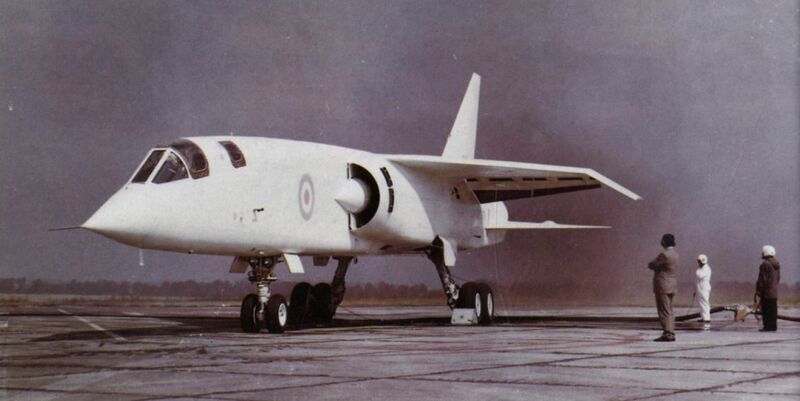 The photograph shows the TSR.2 with undercarriage finally retracted for high speed trials in January 1965. 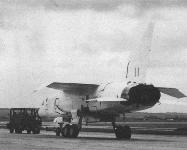 The photograph shows the TSR.2 undergoing engine runs at A&AEE Boscombe Down in August 1964. 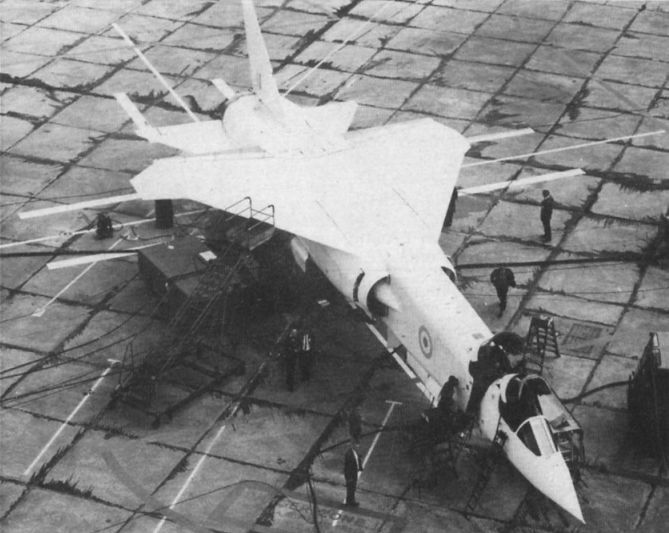 XR219 waits on the Boscombe apron on September 27, 1964, ready for the first flight. The groundcrew prepare XR219 for its first flight. XR219 is being prepared for an engine run at Boscombe. 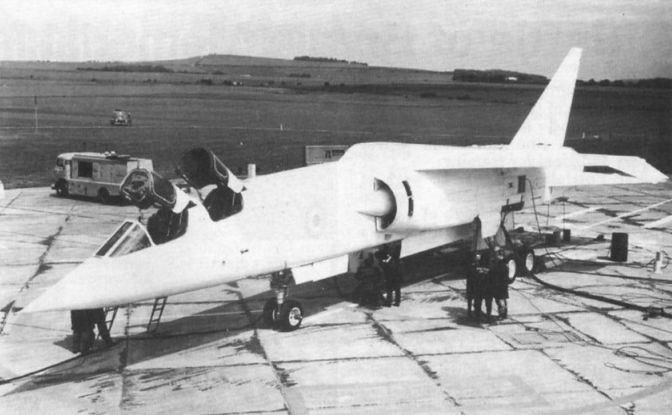 The TSR.2 is pictured at right during roll-out at A&AEE Boscombe Down in August 1964. 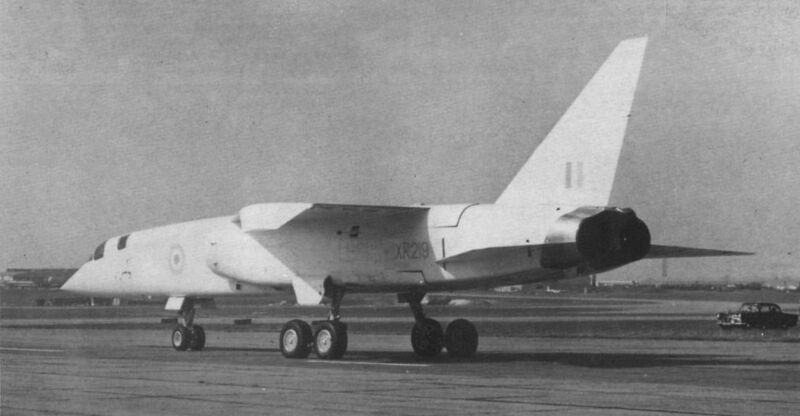 Taxy tests began on September 2, 1964; the TSR.2 was photographed at the start of the first and only run that day, right, chocks away and rolling. 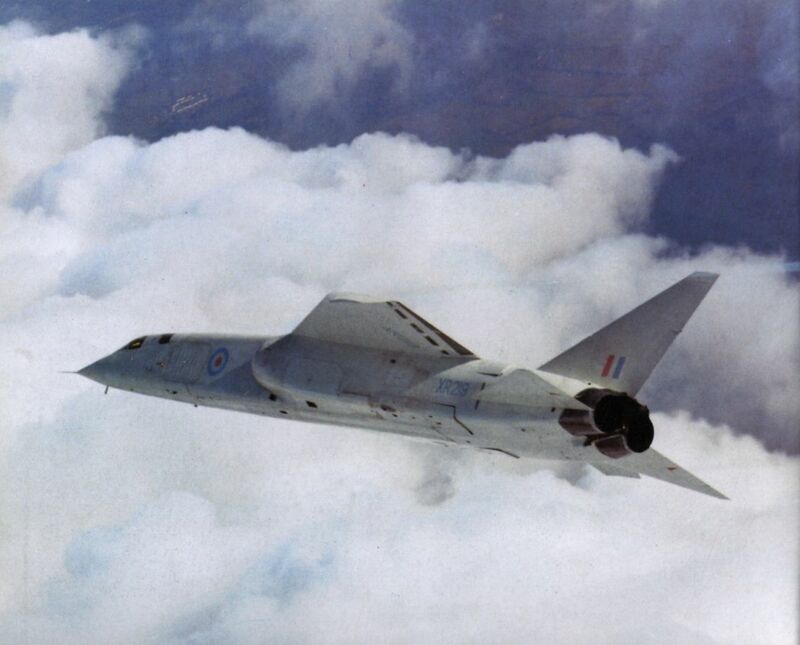 The photograph shows TSR.2 XR219, with brakes off and maximum reheat, at the beginning of its first flight, on September 27, 1964. 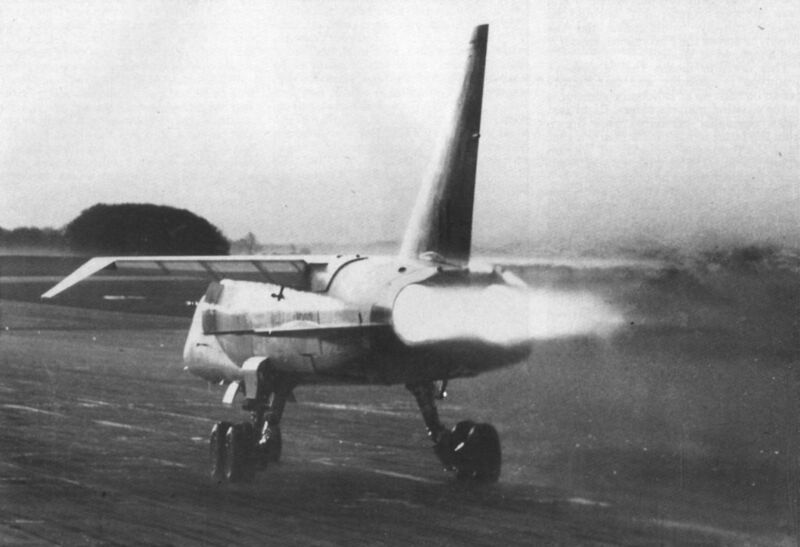 The drag chute streams for the first time, at the end of Taxy Run 2 on September 3, 1964.